Human Doll Ken (Justin Jedlica) said: “She appears to me that much of her look is added makeup, fake hair and slimming corsets. Drag queens have put on the same illusions with makeup and costumes for years”. 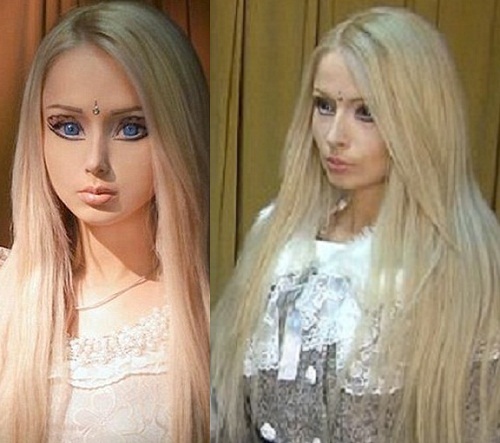 32-year-old Ken rejected Russian 28-year-old Valeria Lukyanova. Indeed, Justin Jedlica was disappointed with what he saw, she was not a Barbie at all, no long legs, which were in her Photo shopped images, no doll waist, no smooth skin, no huge eyes. She looked too old and boring for him. To the great joy of Russian anti-fans of Valeria, Justin Jedlica states that he is not interested in the fake Barbie. More than that, their photo of Ken and Barbie is widely commented, first of all by Lukyanova herself. She is furious, because the photo was not previously Photo shopped by her. 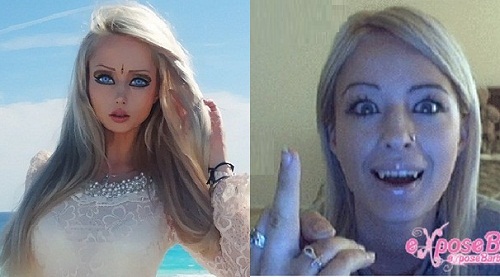 Valeria Lukyanova has been fooling naive internet users for about 10 years, that’s why Russian Internet users are thankful to Ken. That’s how two fake people met. As it turned out, fake people don’t like other fake people. How to become a doll – Eurika!